One of Nashville’s most successful session guitarists, Jack Eubanks, died on Wednesday, July 1 at age 78. Eubanks was the session leader on six of the million-selling albums by Alabama. He played guitar on recordings by such superstars as Kenny Rogers and Charley Pride. He also recorded several solo albums and was a member of The Nashville Guitars, a group that recorded for Monument Records. He appeared on the television shows of Jimmy Dean and Leroy Van Dyke, as well as on the Grand Ole Opry. He also worked on TV’s Hee Haw. Jack Eubanks was the longtime producer of the legendary gospel act The Chuck Wagon Gang. His session credits include records by Ed Bruce, Billy Parker, Leona Williams and Wynn Stewart, as well as such non-country artists as Connie Francis, The Platters, Louis Armstrong and Mike Douglas. He worked for four decades in Nashville’s recording studios. Eubanks is survived by five children, nine grandchildren, one great-grandchild, a brother and a sister. His memorial celebration is 1-3 p.m. on Monday, July 6, at Goodlettsville Church of Christ, 401 Main St., Goodlettsville, TN 37072. In lieu of flowers, the family requests honoring his memory by planting a tree or by donating to the Cystic Fibrosis Foundation. 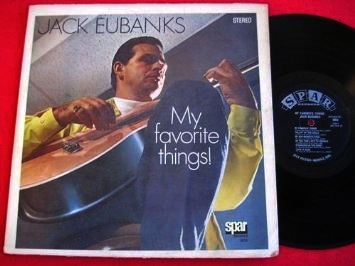 Jack Eubanks was a resident of Silver Point, TN. Funeral arrangements are being handled by Huddleston Horner Funeral Home in Cookeville, TN (931-526-6111).